The 1939–40 Winter Offensive was one of the major engagements between the National Revolutionary Army and Imperial Japanese Army during the Second Sino-Japanese War, in which Chinese forces launched their first major counter-offensive on multiple fronts. Although this offensive failed to achieve its original objectives, some studies have shown that it came as a heavy blow to the Japanese forces, as well as a massive shock to the Japanese military command, which did not expect the Chinese forces to be able to launch an offensive operation on such a large scale. By April 1940 the Japanese army had successfully fought the operation to a halt. However, a Japanese counteroffensive in the northern theater failed to seize Ningxia and was defeated in Suiyuan by Chinese Muslim forces. The Chinese had repulsed two Japanese offensives in the summer at the Battle of Suixian-Zaoyang and in fall at the 1st Battle of Changsha. They believed that the Japanese forces were now too dissipated to take and hold new territory and would not be able to launch large offensives unless they received more reinforcements. However, by defending interior lines and with control of the lines of communication, they could still shift forces and launch local offensives to damage Chinese forces or mop up guerrillas in the rear areas. Additionally, during 1939 the Japanese were replacing many of their large four-regiment square Divisions with the smaller three regiment triangular Divisions and weak Independent Mixed Brigades. This weakening of forces encouraged the Chinese to plan a large offensive to exploit that fact. The Chinese objective in the offensive was to take the initiative by conducting multiple-front attacks to tie down the Japanese forces. They intended to use their position of exterior lines to advantage to prevent the Japanese from launching new local offensives or shifting their forces to concentrate for a large offensive. The main effort was to be by the 2nd, 3rd, 5th and 9th War Areas, which received all newly trained and reorganized units. Secondary efforts in support of the main efforts or as diversions were to be conducted by 1st, 4th, 8th, Shantung-Kiangsu and Hopei-Chahar War Areas with their existing units. The 2nd War Area in north China was to cut off communications of the Japanese 1st Army along the Cheng-tai (Chengting-Taiyuan) and Tung-pu (Tatung-to-Pukou) Railways and mop up their forces in the triangular area formed by southern Shansi and the southern sector of the Tung-pu Railway. The other corps were to attack the enemy where they were and destroy communications in support of the main effort. The Chinese 40th Corps and 27th Corps were to attack and pin down the Japanese 36th Division in the Zhangzi and Changzhi area of Shansi. To the southwest along Tung-pu-to-Puchow Railway the 4th Army Group, 5th Army Group and 14th Army Group were to attack from the east, while the 34th Corps and 61st Corps attacked from the west to cut the Tung-pu Railway between Yi-cheng and Yuncheng at Jiangxian, Wenxi, Anyi with the aim of severing the railway at Quwo and Houma, thereby isolating the 37th Division and 41st Division at Linfeng. 1st War Area was to support 2nd War Area with an attack on the Kaifeng and Bo'ai area to tie down the Japanese 35th Division and the 4th Cavalry Brigade of the North China Front Army. South of the Yellow River, the 3rd Army Group was to cut off the Lankao-Kaifeng sector of the Lung-hai Railway. The 81st Division main force was to attack Kaifeng while a few elements attacked Lankao, allowing the Anhwei-Honan border-area guerrillas (40,000 men) to cut the Lunghua railroad near Luowang, Neihuanggi, and east and west of Lankao plus the highways at Tongxu, Huaiyang and Luyi. To the southeast the 2nd Cavalry Corps was to move east of Boxian from Luyi and attack Shangqiu from the east. Another force was to intercept and stop enemy 21st Division relief forces moving west from Dangshan and Xuzhou. Simultaneously, north of the Yellow River the 36th Army Group would attack Bo'ai and Xinxiang. The new 5th Corps would attack Japanese positions held by 1st Independent Mixed Brigade north and south of Anyang and destroy bridges along the roads at Chi, Chun, Tang-yin and Pao-lien Temple Station, tying up rail traffic. The 47th Corps would cut rail traffic at Po-shan, Chang-kou, and clear Tai-hsing Shan [Taihang Mountains] of Japanese troops. Finally, the 9th Corps was to attack 35th Division and 4th Cavalry Brigade troops at Bo'ai, Jixian, Mucheng and the area of Xiuwu and Bo'ai, south of the western Tao-tsing railroad. Hopei-Chahar War Area was to support 2nd War Area using its main force of 69th Corps with its new 6th Division and guerrilla forces to cut the communications in the vicinity of Shijiazhuang, Baoding (held by the 110th Division) and Xingtai (held by the 8th Independent Mixed Brigade) and along the Peking-Hankow Railway. Other forces were to cut communications in the vicinity of Cangzhou and Dezhou held by the 27th Division along the Tientsin-Pukow Railway, thereby preventing forces of the North China Front Army or its 12th Army from interfering with operations in Shansi against 1st Army. 8th War Area was to assist 2nd War Area in the north in Suiyuan by attacks on the Japanese Cavalry Group  of the Mongolian Army at Baotou and Hohhot.The main force of 35th Corps was to attack Baotou. The 6th Cavalry Corps and the Advance Force was to cut the railroad between Hohhot and Salqin to prevent Japanese reinforcements from the 26th Division in the Datung area from relieving Baotou. The 81st Corps was to attack Dashetai while guerrilla forces attacked Guyang and other sites to tie down outlying garrisons. Shantung Kiangsu War Area was to prevent movement between north and central China along the Tientsin-Pukow Railway by attacking and sabotaging it. In Shantung portions of the 51st Corps were to attack near Tai'an and portions of the 57th Corps near Tengxian, both held by the Japanese 32nd Division. In Kiangsu portions of the 89th Corps were to attack near Chuzhou, held by the 12th Independent Mixed Brigade. Prior to the beginning of the offensive on December 3, the Japanese had attacked 2nd War Area forces at Xiaxian and Wenxi on the Tungpu (Tatung-Puchow) Railroad. Nine days later the Japanese were defeated, losing--according to the Chinese--3000 troops including a battalion commander (Enoshima?). The mopping up of remaining Japanese minor strongpoints in the area lasted until December 20. when they were finally wiped out. On December 10, the 2nd War Area general offensive began. 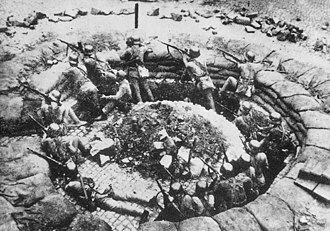 Japanese strongpoints at Henglingguan, a pass south of Jiangxian, Chen-feng-ta and Nianzhang were encircled and communications on the nearby highways were destroyed by the advancing Chinese. The 4th Army Group and 5th Army Group joined forces in attacking Japanese positions at Xiaxian and other places in the area. By late December Beishe. southeast of Wenxi, was cleared of Japanese troops. In response, the Japanese 37th Division counterattacked with 2000 men and artillery from Yuncheng and Xiaxian. By early January 1940 elements of the Chinese 98th Corps and 7th Division repeatedly counterattacked, killing several hundred Japanese, resulting in a stalemate. Meanwhile, another Chinese force attacked the Tungpu Railroad between Wenxi and Anyi, destroying communications. To the northeast of the 4th and 5th Army Groups, 14th Army Group attacked Yicheng and Jiangxian. On December 15 the Japanese counterattacked with 5,000 troops supported by artillery and aircraft, resulting in bitter fighting and heavy casualties on both sides. On December 18 Longhua was taken by the Chinese, who pursued the retreating Japanese toward Yicheng. Meanwhile, in eastern Shanxi the 40th Corps and 27th Corps began their attack on the Japanese 36th Division in the Zhangzi and Changzhi area on December 13. The 27th Corps captured strongpoints on the outskirts of Changzhi and Tunliu, encircling the Japanese. On January 1, 1940, the Japanese organized a counterattack with 10,000 infantry, cavalry and artillery troops drawn from their surrounding defenses, and with air support attacked Chinese positions southwest of Changzhi. The Chinese 46th and 8th Reserve Divisions fought a see-saw battle with the Japanese from their positions at Hsien-wong Temple, Yanlu and Chin-yi villages, which led to heavy casualties on both sides. On the morning of January 3 the main force of the 40th Corps opened a day-long attack on the Japanese that caught them between the two Chinese forces, causing heavy losses and forcing them to withdraw to the outskirts of Changzhi. The 40th Corps continued its attack on Japanese strongpoints between Huguan and south of Changzhi. On January 20 and 24 Chinese forces cut the Han-Chang (Hantan-Chang-chih) Highway northeast of Changzhi, capturing Licheng and Dongyangguan, a pass east of Licheng and She-xian. On January 28 another force captured Lucheng, but bitter fighting continued with Japanese forces east of the town. On December 1 the 3rd Army Group guerrillas cut the Lung-hai Railway near Luowang, Neihuanggi, and east and west of Lankao. They also cut the highways at Tung-hsu [Tongxu], Huaiyang and Luyi. Meanwhile, the 81st Division's main force attacked Kaifeng while some of its elements attacked Lanfeng. Lowang Railway station was taken on December 15 and the Division entered Kaifeng the next day, clearing the Japanese troops and burning warehouses and a Japanese headquarters there. Meanwhile, to the southeast 2nd Cavalry Corps moved east of Boxian, encircled and attacked Shangqiu from the east and overran an airfield and burned aviation fuel there. Another force intercepted and defeated relief forces moving west from Dangshan on the Lung-hai Railway. North of the Yellow River the 36th Army Group attacked. Its new 5th Corps on December 6 attacked elements of the Japanese 1st Independent Mixed Brigade north and south of Anyang and succeeded in destroying bridges along the roads at Chi, Chun, Tang-yin and Pao-lien Temple Station. On December 13 the 47th Corps cleared Taihang Mountain and cut the Tao-tsin Railroad, taking the rail stations at Po-shan and Chang-kou. The 9th Corps attacked elements of the Japanese 35th Division between Bo'ai and Jixian, cutting communications between them and attacking the defenders on the outskirts of Jixian and a strongpoint at Mucheng. Parts of the 47th Division and demolition teams broke into Jixian for half the day, attempting to clear it of enemy troops. Though a minor theater of the campaign, the 8th War Area operations had some of the best results. In the preliminary attacks on December 18, 6th Cavalry Corps and the Advance Force cut the railroad between Hohhot and Salqin to prevent Japanese reinforcements from moving to relieve Baotou. At the same time 81st Corps attacked Dashetai, capturing it and destroying most of the garrison as it fled the next day. On the 19th the 81st Corps' 101st Division captured Chien-tze-kou [Tailiang, Ming'an?] between Dashetai and Baotou and continued eastward until it encountered a Japanese force with 50 trucks and seven tanks near Mao-kuei-shen-yao-tze. Fighting lasted until dark, with the Japanese losing a tank and ten trucks. At Kung-yi-hsing [Erh-hsiang-kung-yao-tzu?, 10 km north of Baotou] guerrillas killed 44 Japanese moving south from Guyang to reinforce Baotou. Elements of the New 32nd and 101st Divisions wiped out a Japanese force that had fled to Peihuangtsaoyu. The main force of 35th Corps attacked Baotou on December 19 and entered the city on the 20th, capturing the Japanese Cavalry Group headquarters and warehouses in house-to-house fighting with the enemy. By noon of the 22nd the Japanese had been driven into the southwestern corner of the city. Meanwhile, the Japanese had been making efforts to relieve the beleaguered Cavalry Group. From the Peiping area they sent a force of 2000 troops from their 2nd Independent Mixed Brigade in 200 trucks with more than ten guns and eight tanks and air support from four aircraft. Over half of this force was destroyed by the Chinese on the outskirts of Baotou on the 22nd. On the 24th additional Japanese reinforcement arrived, and these were apparently enough to force the Chinese to go on the defensive, having achieved their goal of tying down the enemy. By January 28, 1940, the Japanese had built up forces from 26th Division at Baotou sufficient to launch the 第１次後套作戦 or "First battle of Wuyuan in Inner Mongolia" to recover lost territory and move west to take Wu-yuan, which fell on February 3, and Linhe further west on the 4th. The 8th War Area command ordered a counterattack to recover Wuyuan. The Battle of Wuyuan resulted in the retreat of the Japanese to Baotou at the beginning of April. Deep in the Japanese rear areas in early December, Hopei-Chahar War Area is said to have successfully used its 69th Corps with its New 6th Division and guerrilla forces to cut communications between Baoding and Xingtai, and at Cangzhou and Dezhou. To the south in Shangtung-Kwangtung War Area, in late December 51st Corps did sabotage the railroad in the vicinities of Tai'an, Tengxian and Chuzhou, disrupting traffic between north south China. The Japanese response was the 魯東作戦 or Shandong Operation (2/7-2/21, 1940), in which 21st and 32nd Divisions and 5th Independent Mixed Brigade advanced through the Shangtung peninsula in a mop-up operation. Naval landing forces from the 3rd China Expeditionary Fleet landed at the end of the peninsula on February 18. The operation on the peninsula continued until February 21, reporting the destruction of about 20,000 Chinese troops. Long-hsuen's "History of The Sino-Japanese War" then ends the narrative of the operation with the mention that supply difficulties greatly affected operations because of Communist raids in their rear area and instigation of revolts, which seized food and forbade it to be sold to the government forces. Despite this, the 40th Corps and 27th Corps accomplished their aim of pinning down the Japanese in the Chang-chih and Chang-tze area. However, in southwestern Shanxi the main effort of 2nd War Area and of the whole North China offensive failed to seize the major towns on the railroad or Japanese strongpoints that were their objectives or to cut the Tungpu Railroad, except for the area between Wenxi and Anyi. At the end of the campaign the 2nd War Area claimed 13,770 Japanese killed or wounded. The 1st War Area reported 5,130 Japanese killed, and seems to have accomplished its mission of tying down Japanese troops in its area of operations. The 8th War Area, after a see-saw campaign, had succeeded in rolling the Japanese back to Baotou in the Battle of Wuyuan. Guerriila forces in the Hopei-Chahar and Shangtung-Kwangtung War Area carried out attacks but apparently without decisive results, and in the Shangtung peninsula they received a serious counterattack. In 1937 the Chinese government picked up intelligence that the Japanese planned to install a puppet Hui Muslim regime around Suiyuan and Ningxia, and had sent agents to the region. The Middlesboro Daily News ran an article by Owen Lattimore which reported on Japan's planned offensive into the Muslim region in 1938, which predicted that the Japanese would suffer a crushing defeat at the hands of the Muslims. The Japanese planned to invade Ningxia from Suiyuan in 1939 and create a Hui Muslim puppet state. The next year, however, the Japanese were defeated by the Kuomintang Muslim Gen. Ma Hongbin, causing the plan to collapse. His Hui Muslim troops launched further attacks against Japan in the Battle of West Suiyuan. In Suiyuan 300 Mongol collaborators serving the Japanese were fought off by a single Muslim who held the rank of major at the Battle of Wulan Obo in April. Muslim Generals Ma Hongkui and Ma Hongbin defended west Suiyuan, especially in Wuyuan, in 1940. Ma Hongbin commanded the 81st Corps, which suffered heavy casualties, but they eventually repulsed the Japanese and defeated them. In Central China the Japanese 11th Army was to be subject to the concentrated attack of the 5th and 9th War Areas, and supporting attacks by 6th and 3rd War Area, while 3rd War Area with support from Shantung Kiangsu War area isolated 11th Army from help from 13th Army downstream by its offensive on the Yangtze and at Hangchow. 3rd War Area was to attack 116th Division positions along the south bank of the Yangtze River between Wuhu and Hukou with its main force, to cut communications and attack traffic along it with mines and artillery to prevent the Japanese 13th Army from giving aid to the 11th Army up river. Shantung Kiangsu War Area was to attack along the Tientsin-Pukou Railway on the north bank of the river in support. To do this, 23rd Army Group organized columns made from the 50th, 21st, 86th and 25th Corps with three divisions each and 18th Corps with two. The force was divided into a Right Flank Army, Central Army and Left Flank Army. Right Flank Army was to send one column to operate along the line from Shun'an to Tung-kuan-shan, Tung-chiang village and Ma-shan to ensure security and attack the enemy between Digang and Tongling and Datong. Another powerful column would advance by Digang, Tongling and Datong to the river and attack ships and capture Datong and Tongling at once. Another force was to be sent to Wanzhi and Wu-hu to harass and tie down the Japanese 15th Division. Central Army columns were to move to Datong and Huangpen to attack enemy strongpoints at Tseng-hsing-shan, Cheng-chia-ta-shan and Hsiang-shan to ensure security along the line from Shan-tan-chow to Chiang-chia-tzui. Later they were to attack the enemy at Ma-tou-shan and operate from Meikang to the upper and lower reaches of the river. Left Flank Army was to organize two columns (built around one infantry regiment with attached artillery) to approach river banks between Dongliu and Xiangkou and between Hukou and Pengze to attack enemy ships and lay mines. Individual battalions or companies, attached with necessary anti-tank guns, were to be organized into three attack teams to use the river banks to attack enemy ships. Two divisions attached with necessary artillery and engineers, and the Navy's mine-laying group, would form the reserves and stand by at Tai-ping and Ching Hsien. 10th Army Group was to take Hangzhou, Fuyang and Linping to pin down the 22nd Division in that area, while the 32nd Army Group would attack and harass Nanchang from the east to aid the 9th War Area offensive. 9th War Area with the support of the 3rd and 6th War Areas would attack the 6th, 33rd, 34th and 40th Divisions and 14th and 18th Independent Mixed Brigade of the Japanese 11th Army south of the Yangtze along the Canton-Hangkow Railway at Puchi and Hsien-ning. It would also advance on Wu-chang, attack Nanchang and along the Nanchang-Kuikiang Railway against Jui-chang and Kiu-kiang and attack and isolate the Japanese 6th Division at Yueh-yang. 15th Army Group supported by 53rd Corps from 6th War Area was to attack Canton-Hangkow Railway and isolate 6th Division at Yueh-yang. 27th Army Group was to attack the Canton-Hangkow Railway at Puchi and Xianning and advance on Wuchang. 30th Army Group was to attack northward between Nan-Hsun Railway and Canton-Hangkow Railway, support 27th Army advance on Wuchang, advance on Juijiang and Xingang. 19th Army Group and 32nd Army Group from 3rd War Area were to attack Nanchang and the Nan-Hsun Railway. The main force of 19th Army Group, the 58th Corps and 60th Corps formerly from the 1st Army Group, was to attack Wangshengang, Aicheng and Pai-tze-chiao. The 32nd Corps was to attack Qiujiajie with part of its force while 141st Division and 131st Division sabotaged traffic and communications between Zhanggongdu, near Quijin and Anyi and between De'an and Ruoxi and the railroad and wires between Jiaoqiao and Lehuajie and De'an. 5th War Area was to mop up the 3rd, 13th and 39th Divisions and 14th Independent Mixed Brigade of the Japanese 11th Army north of the Yangtze between Xinyang and Wuhan along the Peiking-Hankow Railway and cut communications along the Han-yi [Hankow-Ichang] and Hsiang-Hua [Xiangfan-Huayuan] Highways. 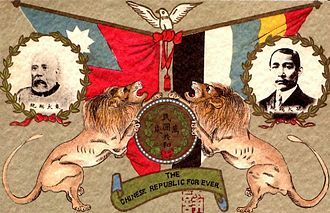 The 5th War Area forces were divided into four armies to carry out the operation--River North Army, Right Flank Army, Left Flank Army and Southern Honan Army--and the Eastern Hupei guerrilla force with the 84th Corps (178th and 188th Division) under Gen. Mo Shu-chieh in reserve at Tsaoyang. River North Army was to send a detachment to cross the river east of Sze-kang [Shayang] and attack Tianmen and Zaoshi, while the main force was to cross between Shayang and Jiukou, attack the enemy west of Pai-ma-miao along the Han-yi [Hankow-Yichang] Highway and operate along the line from Tianmen to Pai-ma-miao and Yanglin. Right Flank Army was to send a force across the river south of Zhongxiang to attack the enemy west of Xinshi. Its main force would cross the river north of Zhongxiang and attack the enemy along the Xinshi-Zhongxiang Highway. Once the strongpoints were taken and communications cut, the army was to operate along the line from Xinshi to Songhe and Pingba, preparing for subsequent attacks. Left Flank Army or (River East Army) was to attack with part of its forces from Pinglin to Maping and Xihe, advance to the Anlu-Yingshan Highway and cut lines of communication behind enemy lines. Its main force was to attack the enemy at Suizhou and Guanmiao, 5 kilometres (3.1 miles) NW of Yingshan, mop up minor enemystrong points and operate in the vicinity of Anlu, Pinglin and Yingshan, preparing for subsequent attacks. Southern Honan Army was to employ a force to attack the enemy north of Yingshan, Kuan-yin-tang and Xishuanghe and send a strong force to cut enemy lines of communications in the area of Guangshui and Xinyang. Its main force was to attack in the area of Xinyang and occupy it. The army would then operate along the line from Guangshui to Wu-shen-kuan, preparing for a future offensive. Eastern Hupei Guerrilla force was to attack the enemy along the line from Guangshui to Xinyang with a regular force in conjunction with guerrillas, cutting Japanese lines of communications. Its main force was to advance to the enemy rear areas at Guangshui, Huayuan and Hankow to check enemy movement. 3rd War Area's offensive began on December 16. Two days later the 144th Division of the Right Flank Army had taken Cha-Cha-shan and Wang-chia-tan [Wanzi]. In the Central Army area 10th Reserve Division had taken Tsen-hsien-shan, Pai-fen-shang, Maotan and part of Cheng-chia-ta-shan, while the 16th Division took Pu-ling and Hsiang-shan and the 190th Division took Tuan-shan, Han-shan and Shih-tze-shan. The 147th Division of Left Flank Army took Hui-lu-ling and Kang-yao-ling. However, the Right Flank Army's 79th Division and 50th Corps failed to coordinate with Central Army, resulting in heavy losses to the 16th Division and the 10th Reserve Division of the Central Army. These divisions subsequently were relieved on December 20 by the 40th and 67th Divisions. On the 23rd the Japanese sent in reinforcements while their aircraft bombed the Chinese for days, so that despite heavy attacks the Chinese failed to make any further progress. On the 28th the Chinese redeployed their forces; the Right Flank and Central Army were to hold their existing positions while Right Flank Army organized two special columns built around an infantry regiment with some artillery and three teams built around an infantry battalion with artillery, engineer and mine-laying detachments. These infiltrated to the river bank at Ti-kang, Wuhu and Ta-tung to attack enemy ships and lay mines. Central Army sent teams from Ching-yang did the same thing. Meanwhile, the Left Flank Army organized a defense to hold Pei-mien-shan and Hung-tsao-shan, while they massed their artillery to attack shipping and laid drifting mines on the Yangtze River. Meanwhile, to the south, the 10th Army Group attack by 192nd Division and 62nd Division took Hangchow, Fuyang and Yu-hang on the night of December 13. Warehouses and puppet organization buildings were burned. The Japanese reacted by sending reinforcements while a regiment of the 22nd Division struck south of Hangchow on January 21, 1940, making a forced crossing of the Chein-tang River, landing at Chiu-chia-tou north of Xiaoshan and engaging the Chinese 2nd Resistance and Defense column at Chekiang. This force then split into two groups. The minor force moved to Kanshan between Xiaoshan and Shaoxing while the main force took Xiaoshan at noon and advanced eastward to Shaoxing. On January 25 there was bitter fighting with 6th Resistance and Defense column at Keqiao, with 8th Resistance and Defense Column at Linpu and parts of 2nd and 5th Resistance and Defense column and the 3rd District Self-Defense Group at Bailutang. On the 27th the Japanese reached Linpu but were halted by Chinese forces at Kanshan, Ya-chien, west of Suo-chien and south of Yuey-ta-chiao and east of Wen-chia-yen. Under counterattack by the Chinese, they fell back to Xiaoshan. Also, 3rd War Area's 32nd Army Group made diversionary attacks south of Nanchang on the Kan River and sent plainclothes detachments into Nanchang to harass the Japanese to aid the 9th War Area offensive. On December 12 when the 9th War Area launched their offensive, 19th Army Group's 50th and 60th Corps attacked the Japanese at Wangshengang, Dacheng, and Kulo-pu in the area north of Shitougang and Gaoyou and east of Xiangfuguan, cut off the communications between Dacheng and Nanchang and Chih-tien-chang. They captured Wan-ling, Pu-ling, Hsiao-ling, Man-kang-ling, Aicheng and Pai-tze-chiao northwest of Fengchuan. 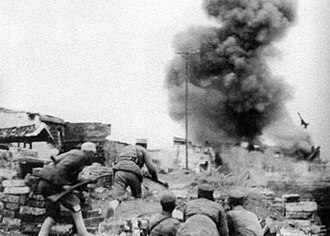 On the night of December 13 Japanese warehouses north of Fengchuan were burned while the main force 139th Division, 32nd Corps attacked Jing'an. On the night of December 21 Jing'an was attacked, and Japanese warehouses were burned. 141st Division and part of 131st Division sabotaged traffic and signal communications between Chang-kung-tu and Anyi, between De'an and Ruoxi, and the rails and telegraph wires between Jiaoqiao and Lehuajie and in the vicinity of De'an. These attacks prompted the 33rd and 34th Division to send out forces to hunt these Chinese forces. One of them, the 213th Regiment of 33rd Division was attacked by the Chinese 78th Corps of 30th Army Group near Wuning that pressed it back to Lao-ta-hsia in the south and Chapi-ao in the western end of the city. Meanwhile, the 72nd Corps and 8th Corps of the 30th Army Group attacked the Japanese 40th Division at Xintanpu in Hubei, Dafan, in Hubei, Tongyang and Nanliqiao, and cut wires from Yangxin to Tongyang and Bainiqiao. Later 72nd Corps took Xintanpu, and Tze-kou Chen, and 8th Corps captured Ni-keng-kou [Xi-keng?] and Shih-hsia . On December 14 the Japanese 33rd and 40th Divisions reaacted by sending two regiments to counterattack from Yu-chia-fan [Zhifang? ], Lung-kang and Dafan, fighting against the 72nd and 8th Corps in the area from Shih-men to Shih-pi-hu . By the 19th the Japanese were driven back and the Chinese continued to attack Hsin-tan-pu, Tongyang, and Nanliqiao. The 3rd Division cut the rails and telegraph wires at Tingsiqiao. 1st Advance Column sabotaged rails and telegraph wires at Shanpo, Heshengqiao, and Tao-lin-pu along the Canton - Hankow Railway. 3rd Advance Column sabotaged rails and telegraph wires from Lehua to Ta-chiao on the Nan - Hsun Railway and signal communicantons in the area of Wangjiapu on the Jui-Wu [Jui-chang-Wuning] Highway. On December 12 after recovering Chongyang, the 20th Corps of the 27th Army Group telegraph wires along the highways from Bainiqiao, to Chungyang and Yanglodong and between Chongyang and Shichengwan. It also drove off enemy reinforcements in the area of Wu-li-miao, Ta-shih-ling [Tiancheng?] and Guihuashu. From December 13 the 70th Corps' 3rd and 19th Divisions attacked Chongyang, Guihuashu, and Shichengwan areas clearing the Japanese east of Guihuashu, and captured localities on the outskirts of Shichengwan. On the night of January 8, 1940, the 70th Corps moved to Yangloudong, Puqi and Zhaoliqiao to clear the enemy there, routing enemy reinforcements at Pai-hua-pu and sabotaging the rails and telegraph wires at Tingsiqiao, Guantangyi and Zhonghuopu. 82nd Division of the 79th Corps, 15th Army Group, cut the Canton-Hangkow Railway at Yanglousi Station, attacked Dashaping and Tucheng, blew the bridge at Tieh-chu-kang . The 15th Army Group captured in succession, Chiu-kung-shan and Wulipai on the outskirts of Yuehyang. Then with 116th Division from 6th War area 4th Corps attacked Lin-yueh, destroyed rails and telegraph wires from Wulipai to Yuehyang, then intercepted Japanese reinforcements at Ching-kang-yi [Chenglingji? ], Tang-chia-pai and Kun-shan [Kun mountain?] northwest of Taolin, Wulipai, and Yunxi. 6th Divisions supply and liaison was so disrupted that it was effectively cut off. On December 12, the various armies of the 5th War area began the offensive against the Japanese. 32nd and 40th Divisions of the River North Army moving to Chien-chiang [Qianjiachang?] and Pai-lo-chi . Meanwhile, the 128th Division attacked Hsien-tao [Xiantao]. Once the 6th, 13th and 41st Divisions crossed the Han river they mopped up Japanese strong points west of the Yung-lung River. On the night of December 15, the Chinese 4th Reserve Division crossed the Han river north of Shayang to take part in the operation. On December 16 the River North Army recovered the Japanese strong points at Nieh-chia-chang, Fu-nan-chang, Wu-hsu-chia-chang, Chou-chia-chang, Tung-hsin-chang, Tuo-chuan-fu and Nan-ho-fu . Fighting continued at Shayang and Kung-yi-chang . At dawn of December 17 two Japanese columns attacked the Chinese at Xiantao and Shayang. The first from Hsiang-chia-wan and Lin-chia-chi had more than 1,000 infantry of the 116th Regiment supported by 10 tanks and artillery. 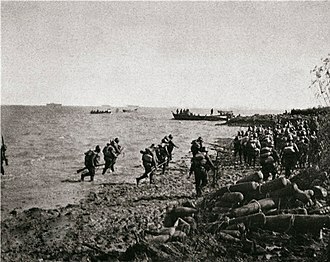 The second from Shayang had 1,000 troops and several tanks. Eventually the Chinese took Xiantao and Shayang, after engaging in a bitter fight. On December 18, Japanese 600 cavalry and infantry in more than 90 trucks advancing to the southwest via Wu-miao-chi . They were intercepted in the area of Wang-wu-tai and Han-ching-miao cutting off their withdrawal route, however some managed to retreat to Tao-pao-wan . On December 22 under cover of 8 aircraft a Japanese at Kung-yi-chang attacked Chinese positions at Wang-wu-tai and Lo-chia-tang. The Chinese suffered heavy losses and the Japanese cleared the highway from Wang-wu-tai to Tao-pao-wan . Meanwhile, the Japanese force at Lin-chia-chi increased to 2,000 men, more than 10 guns and 60 tanks and more Japanese troops appeared northeast of Chu-chia-chang and northwest of Tuo-chuan-fu . Since the fighting had gone on for days with heavy loss to the Chinese they decided to avoid further loss and began to withdraw west of the Han river on the 23rd. 55th and 13th Division covered this withdrawal, holding the Japanese at Yen-men-kuan [Yen-men pass?]. The withdrawal was complete by December 31. However some fighting continued, on January 11, a detachment of the 32nd Division ambushed a Japanese truck convoy between Qianjiachang and Yuekou, killing a colonel, and 50 enlisted men and capturing large amounts of military supplies. 13th Division attacked Japanese reinforcements on January 17, 1940, at Yeh-chia-chi and Lo-chia-chi . On the front of the Right Flank Army on December 12, 33rd Army Group's 74th Division crossed the river to attack the Japanese south of Zhongxiang. 77th and 59th Corps of the 33rd Army Group and the 29th Army Group separately crossed the Han River to capture Chu-pao-ta-chiao and Hsi-hu-shan and went on to attack Lo-chia-po, San-yan-tien, Wang-chia-pao and Tan-fu-miao. On December 13 they captured Ta-hsiao-chen-chung and Chang-chia-wan . On December 18, Chinese forces fought several thousand Japanese troops at Wang-chia-ling and San-yang-tien . On December 19, a converging attack was made in conjunction with 74th Division resulting in heavy loss to both sides, but on December 21 the Japanese withdrew to the south followed by the Chinese who attacked Dongqiao and Huangjiaji and strongpoints at Yangzi and Zhongxiang. 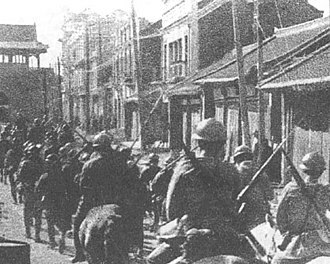 On December 26 the Japanese force in the area of Zhongxiang was increased to 5,000 men with more than 10 guns and 20 tanks. At dawn the following day they made a strong attack along the entire front, advancing to Changshoudian on the 28th. 84th Corps, the War Area reserve had to be thrown in to stop them. Meanwhile, the 74th Division had reached Yeh-chia-pu and Pai-miao-chang to join forces with the 59th Corps in launching a flanking attack on the Japanese in the area of Hung-shih-po . By December 31 the Chinese faced the Japanese on a line from Pu-men-chung to the south of Changshoudian, Tan-chia-ta-shu and Pai-miao-chang . On January 5, 1940, Wangdian and the heights in front of the 29th Army group were captured by the Japanese but a counterattack by the 55th Division recovered them. From January 9–13, the Japanese force at Huang-yang was increased to three regiments and began attacks on the Right Flank Army. Japanese artillery at Yangtzi shelled the Chinese. On January 14, Chinese forces made a night attack and took the high ground south of Gaocheng and Shih-ling-szu and Wang-chia-tai, Sun-chia-tien and Chu-chia-miao. The Chinese claimed that six days of continuous attack led to 2,000 Japanese casualties and resulted in a stalemate on this front. Left Flank Army (River East Army) attacked the Japanese in the area between Luoyangdian, to Xudian. Another force occupied Wu-li-pu and Shih-li-pu east of Suizhou, and also destroying communications between Suizhou, and Hsi-shui . On December 15, under Japanese pressure the left flank of the 22nd Army Group moved to the line from Chih-cheng-shan [Chih-cheng mountain?] to Chi-ku-tien and Shan-ching-kuan [Shan-ching pass?]. On December 18, Chinese forces continued their offensive and took Tze-pa-kang and Chang-kang [Changlinggang?]. On December 28, a portion of 22nd Army Group took Yun-tan-kang southwest of Ma-ping, while the rest beat back attacks by Japanese reinforcements at Luoyangdian, Tze-pa-kang, Tu-chung-shan [Tu-chung mountain?] and Xudian. On December 12, the Southern Honan Army launched their offensive, capturing Chuan-kou-tien, Chiang-hsi-tien, and Yang-liu-ho on the 13th. Attacks on Hua-shan [Hua mountain? ], Pingchangguan and Feng-chia-chuang continued. On the 15th the Japanese recovered Yang-liu-ho, while the 30th and 68th Corps pressed the Japanese at Luotuodian, Youhe and Changtaiguan and sent detachments to sabotage communications between those strongpoints and Xinyang. A Japanese force moving north from west of Changtaiguan, was driven back at Mu-chu-ho [Muzihe?]. On the night of December 22, two Chinese regiments separately advanced toward the northeast and southwest of Xinyang to attack the enemy forces there. On the 26th the 27th Division was also employed in the attack on Xinyang. Again on December 27 the Chinese repulsed Japanese reinforcements at Hua-shan [Hua mountain?] and Pingchangguan. On January 5, 1940, more than 2,000 Japanese infantry and artillery troops moved from Chang-tai-kuan to attack 68th Corps. The left flank of the Chinese 30th Corps employed two regiments east of Ping-chang-kuan [Pingchangguan] against 2,000 Japanese troops. Later, the 68th Corps withdrew to the rear, exposing the flank of the 30th Corps and bitter fighting ensued at Hsiao-lin-tien and Kung-chia-fan. 85th Corps from 31st Army Group was committed to the fight enabling the repulse of the Japanese force on January 9, and continue the advance toward Yu-fang-wan, Wu-chia-tien [Wujiadien] and Ping-chang-kuan [Pingchangguan] to mop up the remaining Japanese forces. To exploit this success the high command committed the balance of the 31st Army Group, from the Northern Hupei Army. Its main force was ordered to launch an attack from the Gaocheng, Yanzihe area and attack the area of Huayuan and Guangshui by January 1, 1940. On the 5th it attacked Japanese units at Haodian, Yu-chia-tien [Wujiadian? ], Hua-shan [Hua mountain? ], Ta-miao-fan and Pingchangguan. Later, the 23rd Division (85th Corps?) advanced to the area between Wu-sheng-kuan [Wu-sheng pass?] and Guangshui. On January 7, 4th Division (85th Corps?) recovered Hua-shan [Hua mountain]. On January 17, the 4th, 21st and 141st Divisions engaged the Japanese at Wujiadian, Chien-ting-miao, Lo-han-ting, and Hua-shan [Hua mountain?]. On January 22, the Japanese and Chinese forces fought at Chiang-chia-ho, Pi-chia-shan [Pi-chia mountain], Ku-sao-ling, Chih-shan-ai, Yin-chia-tien . Days of fighting at Hsiao-chia-wan, Tu-men-chung, Shih-men and Kao-cheng [Gaocheng], ended in the destruction of several thousand enemy troops, more than 10 tanks and large quantities of supplies. Eastern Hupei Guerrilla force repeatedly attacked enemy strong points in eastern and western Anhwei, and employed its main force in attacks in the area of Huang'an, Hekou, and Xiadian. 3rd War Area attacked 116th Division positions along the south bank of the Yangtze River, cutting communications and attacking traffic along the Yangtze River to prevent the forces of the 13th Army from giving aid to the 11th Army up river. Although it failed to take the major riverside towns that were some of its objectives it seems to have succeeded in tying up the local Japanese forces and harassing river traffic. How much it affected traffic on the river is not stated but 13th Army does not seem to have sent forces up river to 11th Army during the time of the offensive. The Chinese Hangchow offensive seems to have been somewhat successful but the Japanese replied with a counter offensive of their own. 9th War Area with the support of the 3rd and 6th War Areas was to attack the 6th, 33rd, 34th and 40th Divisions, and 14th and 18th Independent Mixed Brigade of the Japanese 11th Army south of the Yangtze along the Canton-Hangkow Railway at Puchi and Hsien-ning and 19th Army Group and 32nd Army Groups did attack Nanchang, and along the Nanchang-Kuikiang Railway. 27th Army Group did attack the Canton-Hangkow Railway at Puchi and Xianning and 30th Army Group attacked between Nan-Hsun Railway and Canton-Hangkow Railway, and 15th Army Group supported by 53rd Corps from 6th War area attacked Canton-Hangkow Railway and isolated 6th division at Yueh-yang. However planned advance by 27th Army Group on Wu-chang, and 30th Army Group against Jui-chang and Kiu-kiang did not occur. 5th War Area had an ambitious goal, to mop up the 3rd, 13th and 39th Divisions and 14th Independent Mixed Brigade of the 11th Army north of the Yangtze between Xinyang and Wuhan along the Peiking-Hankow Railway and cut communications along the Han-yi [Hankow-Ichang] and Hsiang-Hua [Hsiang-yang - Hua-yuan] Highways. This it did not come near to achieving, due to the failure of its various Armies. River North Army accomplished little and was driven back behind the river by December 23, freeing up 13th Division units for use elsewhere. The Japanese held Right Flank Army in the Zhongxiang area far from the planned stop line from Xinshi to Songhe and Pingba. The Japanese contained Left Flank Army or (River East Army) far from its final objectives. Southern Honan Army did attack the enemy 3rd Division in the area north of Yingshan and Xishuanghe and send a strong force to cut enemy lines of communications in the area of Guangshui and Xinyang. Its main force was to attack in the area of Xinyang and occupy it. Neither of these objectives was achieved despite the commitment of the 31st Army Group. Eastern Hupei Guerrilla force did not advance to the enemy rear areas at Guangshui, Huayuan and Hankow to check enemy movement along the railroad. They never got near those objectives, leaving the Japanese free to move troops along the rails to meet the other attacks. The Chinese Muslim General Ma Biao led Hui Muslim, Salar Muslim, and Dongxiang Muslim cavalry to annihilate the Japanese at the Battle of Huaiyang. 4th War Area was to capture Shantou and Chaozhou while its main forces mopped up Japanese 21st Army (18th, 38th, and 104th Divisions and the Guards Mixed Brigade), along the Kowloon-Canton Railway making the transfer of reinforcements from Guangdong to the ongoing Battle of South Guangxi difficult. In Guangxi, at Nanning, battered at the Battle of Kunlun Pass, remnants of the Japanese 5th Division and Taiwan Mixed Brigade were to be driven out. Muslim General Bai Chongxi led the Guangxi armies against the Japanese. It was when the reverse at the Battle of Kunlun Pass of the Japanese forces in the Battle of South Guangxi became evident that the Chinese launched a major counterattack in Guangdong, part of the countrywide winter general offensive, making the transfer of reinforcements from Guangdong to Guangxi difficult. The goal was the capture of Chao-chow and Swatow and the main force was to clear the Japanese from the Canton-Kowloon Railway. In response the Japanese command halted the planned repatriation to Japan of the 106th Division in Central China and reassigned it to the 21st Army on December 29. After routing the Japanese force coming from Longxian on January 1, the 54th Corps recaptured that town on the 2nd. Guandu fell on the 4th and Qingtang on January 5. The Japanese retreated to Shatien while 54th Corps advanced southwest to Shijiao. On January 3 the 2nd Provisional Corps laid siege to Yingde and took it on the 5th. It then continued to advance to Lianjiangkou while Japanese remnants fled southwest and took Qingcheng on the north bank of the Lien River, linking up with Japanese forces across the river to the south. Subsequently, portions of 64th Corps and 2nd Provisional Corps recovered Qingcheng on January 10. Across the river the next day 14th Division of 54th Corps recovered Pajiangkou and to the east Conghua fell to the detachment of 35th Army Group. Yuantan along the Canton Hankow Railway fell the following day. Yinzhan'ao fell on January 16. The Main force of 35th Army Group moved along the west bank of the North River near Chiang-hsin, and 54th Corps and a portion of 12th Army Group moved to take up positions at Heng-shih, Liangkou, Lutien and Meikang. 4th War Area reported more than 10,300 enemy killed, 100 rifles and large amount of supplies captured. However, with the restricted frontage, and reinforcements sent from Central China the Japanese were able to shift forces to relieve their forces in South Guangxi. Although the Chinese army failed to meet most of their prime objectives, they did succeed in one of their main objectives - cutting down the Japanese Army's strength in China. Throughout the campaign, the NRA wiped out more than 20,000 Japanese troops, captured about 400, damaged and sunk 9 transport ships and captured 11 pieces of artillery and more than 2,700 rifles. After the Mukden Incident, the Japanese Army easily captured north-east China with little difficulty. After the Marco Polo Bridge Incident, other than suffering some heavy losses in a few campaigns, the Japanese captured a lot of Chinese territory with relative ease. After two years of war, the Japanese never expected the KMT to have the capacity to launch a major counter-offensive. The Winter Offensive had a large psychological impact on the Japanese Army. This campaign also demonstrated that the KMT was determined to carry on the fight and defeat the Japanese. The British and Americans realised that, as long as the Chinese continued their War of Resistance, the Japanese Army would be basically completely tied down, and have almost no power to help fascist Nazi Germany. As a result, Britain and America started loaning large amounts of money to China. This was certainly a great help to the KMT's determination to continue resisting the Japanese. ^ Hsiao-ting Lin (2010). Modern China's Ethnic Frontiers: A Journey to the West. Volume 67 of Routledge Studies in the Modern History of Asia (illustrated ed.). Taylor & Francis. p. 55. ISBN 0-415-58264-4. Retrieved 2010-06-28. ^ The China monthly review, Volumes 80-81. J.W. Powell. 1937. p. 320. Retrieved 2011-06-06. ^ "Middlesboro Daily News - Google News Archive Search". Retrieved 16 October 2016. ^ Xiaoyuan Liu (2004). Frontier passages: ethnopolitics and the rise of Chinese communism, 1921-1945 (illustrated ed.). Stanford University Press. p. 131. ISBN 0-8047-4960-4. Retrieved 2010-06-28. ^ "8000骑兵战士战死抗日沙场，可歌可泣_周口热点资讯". www.zk.ccoo.cn. Archived from the original on 2016-10-22. Retrieved 2016-03-22. ^ qhmhmlc,昆仑玉. "青海八千人骑兵师东进抗日 - 昆仑玉的日志 - 网易博客". Archived from the original on 2018-01-12. Retrieved 16 October 2016. ^ L_104241. "冈村宁次为什么在作战记录中写下"恶战马彪"--青海频道--人民网". Retrieved 16 October 2016. ^ "为抗击日寇和建立新中国浴血奋斗的中国穆斯林 - 历史 - 穆斯林在线-打造全球最大的伊斯兰中文门户网站(muslimwww)". Retrieved 16 October 2016. ^ "马步芳军队抗战纪实：抗战中的马步芳和马家军！". Retrieved 16 October 2016. ^ "让日军闻风丧胆地回族抗日名将". Archived from the original on 2017-07-02. Retrieved 16 October 2016. ^ "还原真实的西北群马之马步芳 骑八师中原抗日 - 历史 - 穆斯林在线-打造全球最大的伊斯兰中文门户网站(muslimwww)". Retrieved 16 October 2016. ^ Long-hsuen, Hsu (1971). Wen Ha-hsiung (ed.). History of The Sino-Japanese War (1937–1945). Chang Ming-kai (2 ed.). Taipei, Taiwan Republic of China: Chung Wu Publishing. ^ Kataoka, Tetsuya. "Resistance and Revolution in China". University of California Press. Retrieved 17 March 2010. ^ "1939–40 Winter Campaign". Archived from the original on August 19, 2008. Retrieved 17 March 2010. ^ "Topographic Maps of China during the Second World War". Series L500. U.S. Army Map Service. 1954. Archived from the original on 11 March 2010. Retrieved 17 March 2010. Upper half of Map 19 showing the Winter offensive 1939-1940 in North China. Map 19, from Hsu Long-hsuen and Chang Ming-kai, History of The Sino-Japanese War (1937-1945) 2nd Ed. ,1971. Lower half of map 19 showing the Winter offensive 1939-1940 in Central and South China from Hsu Long-hsuen and Chang Ming-kai, History of The Sino-Japanese War (1937-1945) 2nd Ed. ,1971. The Mukden Incident, or Manchurian Incident, was a staged event engineered by Japanese military personnel as a pretext for the Japanese invasion in 1931 of northeastern China, known as Manchuria. On September 18,1931, Lt. Suemori Kawamoto detonated a small quantity of dynamite close to a line owned by Japans South Manchuria Railway near Mukden. The ruse of war was soon exposed by the Lytton Report of 1932, leading Japan to diplomatic isolation and its March 1933 withdrawal from the League of Nations. The bombing act is known as the Liutiaohu Incident, and the episode of events is known in Japan as the Manchurian Incident. 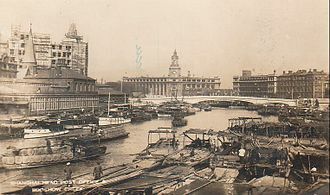 Japanese economic presence and political interest in Manchuria had been growing ever since the end of the Russo-Japanese War, the Treaty of Portsmouth that ended the war had granted Japan the lease of the South Manchuria Railway branch of the China Far East Railway. This included absolute and exclusive administration within the South Manchuria Railway Zone, there were many reports of raids on local Chinese villages by bored Japanese soldiers, and all complaints from the Chinese government were ignored. 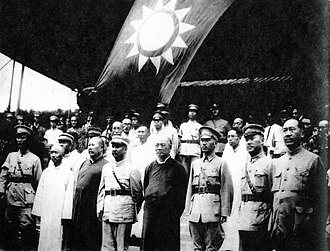 In Nanjing in April 1931, a leadership conference of the Republic of China was held between Chiang Kai-shek and Zhang Xueliang. They agreed to assert Chinas sovereignty in Manchuria strongly and Ishiwara chose to sabotage the rail section in an area near Liutiao Lake. The alleged Japanese plan was to attract Chinese troops by an explosion, the Japanese press labeled the site Liǔtiáo Ditch or Liǔtiáo Bridge, when in reality, the site was a small railway section laid on an area of flat land. The choice to place the explosives at this site was to preclude the extensive rebuilding that would have been necessitated had the site actually been a railway bridge. Colonel Seishirō Itagaki, Lieutenant Colonel Kanji Ishiwara, Colonel Kenji Doihara, at around 10,20 PM, September 18, the explosives were detonated. However, the explosion was minor and only a 1. 5-meter section on one side of the rail was damaged, in fact, a train from Changchun passed by the site on this damaged track without difficulty and arrived at Shenyang at 10,30 PM. Ma Hongkui was a prominent warlord in China during the Republic of China era, ruling the province of Ningxia. In 1950, Hongkui migrated to the United States, where he lived until he died in 1970, born in March 14,1892, in the village of Hanchiachi, in Linxia County, Gansu. The Whos who in China series of books says Taoho Hsien is where he was born and his father was the General Ma Fuxiang. A Hui, he graduated from Lanzhou Military Academy in 1909 and he was in Beijing until Cao Kuns presidency, even though he was the commander of the Ningxia Army. He was at one point the Ningxia and Mongolia Bandit Suppression Commander, Ma became Commander of the Gansu 6th Mixed Brigade in 1916. He was a member of the Mongolian and Tibetan Affairs Commission, in 1927, he and Feng Yuxiang led their troops to Tongguan and countered the Northern Expedition. However, he betrayed Feng and turned to Chiang Kai-shek, during World War II, he took over the command of 17th Army Group. He was the vice-commander of the 8th War Zone, Ma had allowed a Japanese military airfield and some personnel in Ningxia, but evicted them after the start of the Sino Japanese War in 1937, reaffirming allegiance to China. In response, Ningxia was bombarded by Japanese war planes, Ma Hongkui maintained a sharp watch against Japan during the war. Ma Hongkui seized the city of Dingyuanying in Suiyuan and arrested the Mongol prince Darijaya in 1938 because a Japanese officer of the Kwantung Army, Doihara Kenji, Darijaya was exiled to Lanzhou until 1944. In 1940, Ma Hongkuis Muslim troops took part in the Battle of West Suiyuan against Japan, because of fierce resistance by Ma Hongkui and Ma Bufangs Muslim cavalry, the Japanese never reached Lanzhou during the war. After the end of World War II, the Chinese Civil War broke out, Ma Hongkui was in contact with the Kazakh leader Ospan Batyr, who kept him informed of events. Ma Hongkui and his Muslim army ruled over a non Muslim majority, Ningxia did not have the natural defences of Qinghai. They defeated the Communist forces at Pao-chi and inflicted 20,000 dead upon the Communists, in 1949, with communist victory certain, Ma Hongkui fled to Guangzhou and to Taiwan. The entire Kuomintang defences were falling apart, General Hu Zongnan ignored President Li Zongrens orders, and Ma Hongkui was furious at this. Guangdong is a province on the South China Sea coast of the Peoples Republic of China. The provincial capital Guangzhou and economic hub Shenzhen are among the most populous, the population increase since the census has been modest, the province at 2014 end had 107,240,000 people. Since 1989, Guangdong has topped the total GDP rankings among all divisions, with Jiangsu and Shandong second. According to state statistics, Guangdongs GDP in 2014 reached RMB6,779 billion, or US$1.104 trillion, since 2011, Guangdong has the highest GDP among all provinces of Mainland China. The province contributes approximately 12% of the PRCs national economic output, Guangdong hosts the largest import and export fair in China called the Canton Fair in Guangdongs capital city Guangzhou. Guǎng means expanse or vast, and has associated with the region since the creation of Guang Prefecture in AD226. Guangdong and neighbouring Guangxi literally mean expanse east and expanse west, together and Guangxi are called Loeng gwong. During the Song dynasty, the Two Guangs were formally separated as Guǎngnán Dōnglù and Guǎngnán Xīlù, one should note that Canton, though etymologically derived from Cantão, refers only to the provincial capital instead of the whole province, as documented by authoritative English dictionaries. The local people of the city of Guangzhou and their language are commonly referred to as Cantonese in English. Because of the prestige of Canton and its accent, Cantonese sensu lato can be used for the phylogenetically related residents, Chinese administration and reliable historical records in the region began with the Qin dynasty. After establishing the first unified Chinese empire, the Qin expanded southwards and set up Nanhai Commandery at Panyu, the region was independent as Nanyue between the fall of Qin and the reign of Emperor Wu of Han. Under the Wu Kingdom of the Three Kingdoms period, Guangdong was made its own province, for example, internal strife in northern China following the rebellion of An Lushan resulted in a 75% increase in the population of Guangzhou prefecture between 740s–750s and 800s–810s. Yasuji Okamura was a general of the Imperial Japanese Army, and commander-in-chief of the China Expeditionary Army from November 1944 to the end of World War II. He was convicted of war following the war. Born in Tokyo in 1884, Okamura enrolled in Sakamachi Elementary School, in 1897, he entered Waseda Junior High School. In 1898, he was transferred to Tokyo Junior Army School, Okamura entered the 16th class of the Imperial Japanese Army Academy in 1899 and graduated in 1904. His classmates included the future generals Itagaki Seishiro, Kenji Doihara and he was commissioned a lieutenant in the IJA 1st Infantry Regiment. In 1910, Okamura entered the 25th class of the Army War College and he served in a number of staff positions on the Imperial Japanese Army General Staff during and after World War I. He moved briefly to China in the early 1920s, and served as an advisor to a Chinese warlord. From 1932 to 1933, Okamura was Vice chief-of-staff of the Shanghai Expeditionary Army under the aegis of the Kwantung Army, according to Okamuras own memoirs, he played a role in the recruitment of comfort women from Nagasaki prefecture to serve in military brothels in Shanghai. He served as military attaché to Manchukuo from 1933-1934, Okamura was promoted to lieutenant general in 1936, and assigned command of the IJA 2nd Division. According to historians Yoshiaki Yoshimi and Seiya Matsuno, Okamura was authorized by Emperor Hirohito to use chemical weapons during those battles, in April 1940, Okamura was promoted to the rank of full general. In July 1941, he was appointed the commander-in-chief of the Northern China Area Army, according to historian Mitsuyoshi Himeta, the scorched earth campaign was responsible for the deaths of more than 2.7 million Chinese civilians. In 1944, Okamura was overall commander of the massive and largely successful Operation Ichigo against airfields in southern China, a few months later, he was appointed the commander-in-chief of the China Expeditionary Army. 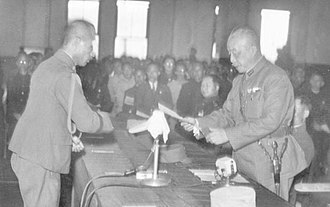 As late as January 1945, Okamura was still confident of the victory of Japan in China, with the surrender of Japan on 15 August 1945, Okamura represented the Imperial Japanese Army in the China Burma India Theater official surrender ceremony held at Nanjing on 9 September 1945. Zhang Fakui CBE was a Chinese Nationalist general who fought against northern warlords, the Imperial Japanese Army, and Chinese Communist forces in his military career. He served as commander-in-chief the 8th Army Group and commander-in-chief of NRA ground force before retiring in Hong Kong in 1949, Zhang Fakui was born in 1896 in Shixing County, Guangdong province. He entered a private learning facility at an age and went to Guangzhou to become an apprentice before joining the local militia. He entered elementary military academy in Guangdong in 1912 and went to Wuhans military high school and he served as Dr. Sun Yat-Sens personal bodyguard and was appointed as a battalion commander of the newly created 4th corps of the National Revolutionary Army. In 1923 he joined the campaign to dislodge warlord Chen Jiongming from power, he was promoted to regiment, during the Northern Expedition, He led the 4th corps defeated Wu Peifus warlord armies in Central China. The 4th corps became known as the Iron Army, Zhang was lauded by the public as the Hero of the Iron Army, when Chiang Kai-shek unleashed his forces against the communists in the Shanghai Massacre on April 12,1927, Zhang stayed with Wang Jingweis Wuhan government. He was awarded to command both 4th and 11th corps, in the same month both KMT governments launched separate campaigns against the northern warlords, Zhang again scored a major victory against Marshal Zhang Zuolins Fengtian clique in Henan province. He was promoted as commander-in-chief of the 4th area army, when Wang Jingwei and Chiang Kai-shek reconciled in July 1927 many communist officers under his command mutinied, resulting in the Nanchang Uprising. Zhangs army defeated the communists and chased the mutineers across into Fujian, while in Guangdong, he drove out the New Guangxi clique and again supported Wang Jingwei over Chiang Kai-shek. The remaining communists in his army used the confusion to launch the Guangzhou Uprising, however he was blamed for the fiasco and resigned his command. In 1936, he and Chiang reconciled and he was appointed as commander-in-chief of Zhejiang, Anhui, during the Second Sino-Japanese War, Zhang Fakui commanded the 8th Army Group in the Battle of Shanghai in 1937, 2nd Army Corps in the Battle of Wuhan in 1938. He Commanded 4th War area from 1939 to 1944, defending Guangdong and Guangxi against the Japanese in South China and he was appointed as commander in Chief of the Guilin War Zone during the Japanese Operation Ichigo. 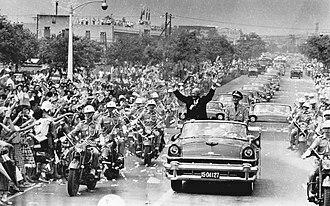 As Commander in Chief 2nd Front Army he accepted the surrender of the Japanese Twenty-Third Army in Guangdong at the end of the War. After the war he was made to march into Hong Kong accept the surrender of the Japanese troops and his medal was presented by Governor of Hong Kong Sir Mark Young in May 1947. Zhang was nicknamed Zhang Fei, after the historical Three Kingdoms figure, after the Second Sino-Japanese War, He was put in charge of Guangdong province and named as one of President Chiang Kai-sheks military advisors. He did not retreat to Taiwan with his commander Xue Yue, Zhang Fakui was instrumental in the Kuomintang support of Vietnamese revolutionary organizations and parties against the French Imperialist occupation of Indo China. He assisted the Viet Nam Quoc Dan Dang, based in Guangxi, Zhang established the Viet Nam Cach Menh Dong Minh Hoi meaning Viet Nam Revolutionary League in 1942, which was assisted by the Viet Nam Quoc Dan Dang to serve the KMTs aims. Chiang Kai-shek, leader of China, in the middle, meets with Muslim Generals Ma Hongbin (second from left) and Ma Hongkui (second from right) at Ningxia, August 1942. 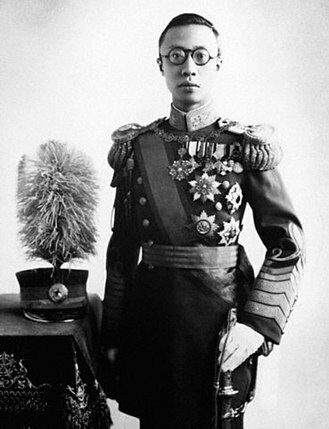 Gen. Ma Hongkui in uniform. Former residence of Xue Yue in Nanjing.